Helmstedt once had been a university town. Even if largely unknown today, this fact is still clearly visible within the city – too dominant is the building ensemble of the old university nearby the Helmstedt market square. It was founded as Academia Julia by Duke Julius of Brunswick-Wolfenbuettel in 1576 and closed again by King Jérôme Bonaparte during napoleonic times in 1810. 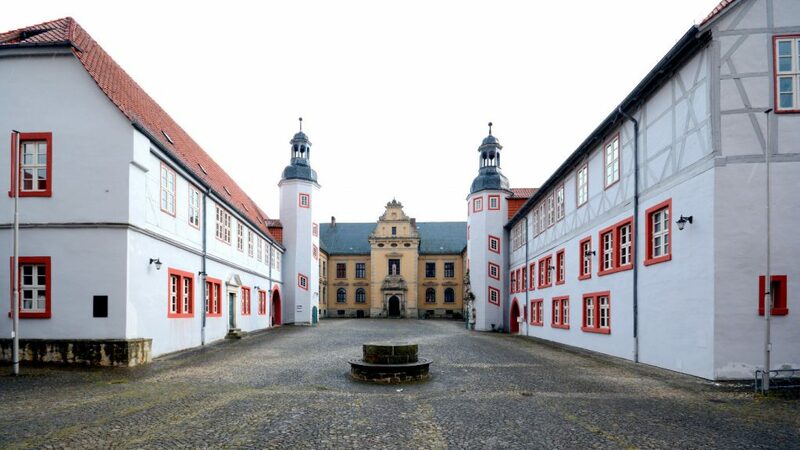 At times in the early 17th century it had been the 3rd largest german speaking university. This view of the new university main building, the Juleum Novum,was created from four images from different perspectives to create an almost perspective-free view in spite of limited space. Opposite the Collegeinflügel is situated, depicted below. The Juleum Novum was errected 1592-97 by Paul Francke in the style of Weser Renaissance. 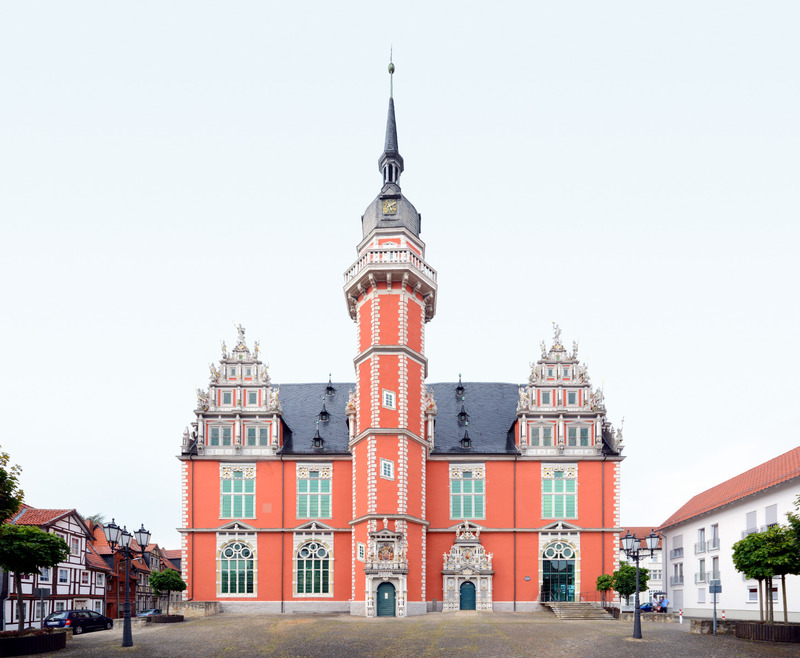 Today it houeses the district and university museum of Helmstedt, a large hall for cultural events and the remaining inventory of the old university library. We also documented material for possible linear streetviews, streetlines, in Helmstedt. We photographed areas on the Holzberg as well as in the Neumärker Strasse/Markt area. These are yet to be edited and published however.